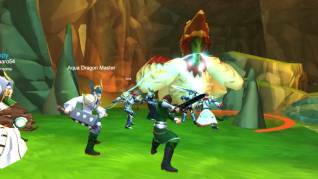 AdventureQuest 3D is looking to launch in October 2016. This Kickstarter title developed by many of the original AdventureQuest developers is a cross platform fantasy MMORPG with a full persistent 3D world waiting to be explored. One of the big pulls about the game is the cross platform element where you can play the same game on PC and your iOS or Android mobile devices, meaning you can take the game with you wherever you go. We interviewed Lead Story Designer Ryan “Cysero” Street last week, and this is what we learnt. Q. Thanks for taking some time out to answer some of our questions; as one of the key features of the game is its cross compatibility, what limitations and problems have you found with development? A lot of games say that they are cross-platform, by which they mean that you can play versions of the game on different platforms. We say that we're making a TRUE cross-platform game. 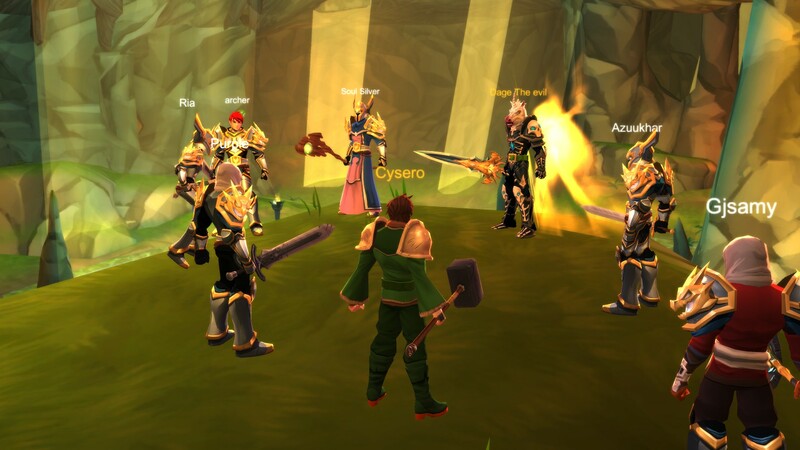 The difference is that it doesn't matter if you're playing AdventureQuest 3D on your phone, tablet, PC or MAC, you will always be playing the same character on the same account in the same world. 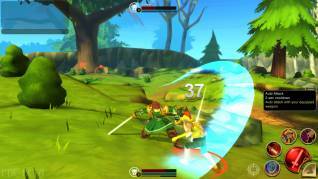 The main developing a true cross-platform game comes mostly from the hardware. Since you can play it nearly anywhere, we're having to simultaneously develop the game so that it works on every imaginable screen resolution aspect ratio and across devices with a rainbow of different CPU and graphics cards and chips. Androids alone come with literally THOUSANDS of device specifications. This makes testing on EVERY device practically impossible. Also each platform comes with it's own platform specific requirements. The last big one is time restrictions on deployment. PC games are great because when you have an update, you can simply push the new client live and force everyone to update, allowing for hot fixes. Mobile is not so forgiving and deployment for each mobile platform has its own hurdles that you have to jump through just to get a new version on everyone's device. It's like dancing with four different people at the same time, all of whom are each doing their own dance, while also preparing and feeding them different meals because they all have different dietary requirements. Q. 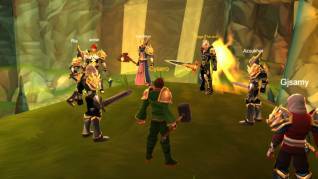 Many of the team played a part in the original AdventureQuest web title, what have they learned from their time on that project that they’ve been able to bring to the table with AQ3D, and what mistakes that may have been made do they think they can avoid? A. AdventureQuest was our first game, released back in 2002. Since then we have released several other web games, like DragonFable and Mechquest and even some full MMOs like Epic Duel and AdventureQuest Worlds. Over the years, the most valuable thing that we have learned is what OUR players want. They have no problem letting us know what they want but we need to be able to look at everyone's different wants and needs and form a single solid picture out of all of that. On the other hand, we have done EVERYTHING wrong at one point or another. There's not a single mistake that we HAVEN'T made but we have also learned from each of them. We've gotten pretty good at that. We've also gotten a lot better at explaining why everything can't be free for everyone all the time. Q. The game is free, the expansions are going to be free, what kind of monetization are you looking at whilst avoiding the dreaded “pay to win” that follows so many free to play games around? A. 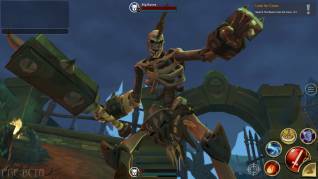 It's really important to us that AdventureQuest 3D will NOT be Pay to Win. We plan on selling microcurrency in the game that you will be able to use to speed up crafting or save time on farming and travel forms that allow you to get around faster. These are just time savers. We also plan on selling consumables like health and XP boosters. Finally, the ability to collect and master every class that we release is central to the game, so we plan on releasing classes early for those who buy them directly before we release them to be earned through gameplay, giving those who choose to support the game a head start but in the end everyone gets access to the same classes if they pay or not. In short, we will sell time savers and early access to some elements of the game but we will NOT sell power. That will only be acquired through gameplay. Q. What options do we have with character creation; races, classes, customization? A. 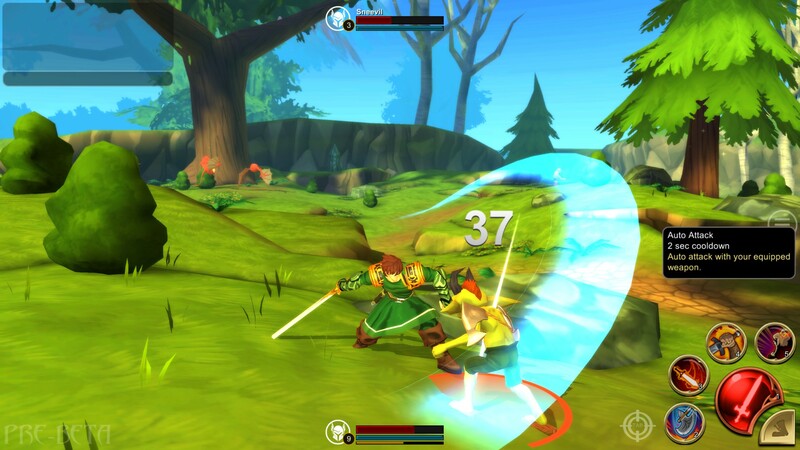 The starting classes will be the tried and true RPG pillars of Warrior, Mage and Rogue. On initial launch we will only have humans as a playable race but our players have told us how much they want other races so we will try, however possible, to return to that and allow different races in the post-launch phases of the game. One of our artists has already started concepting out some amazing races for future use. While we won't offer different body types, we do plan on offering a large selection of skin tones and hair styles and colors during character creation. Q. We’ve read that you can master every class on one character, how does this feature work? A. It's a lot of fun! You have a separate inventory just for the classes that you've unlocked and collected and you can swap them out at will, as long as you're not in combat. You will probably have two or three that are your favorites and carry item sets with stats that benefit those classes but if you're raiding a dungeon and your tank disconnets or has to leave, anyone can seqip their tankiest class and take over for him. Each class will have its own skills and combat effects so everyone is sure to find a class they love , but if they want to they can master all of them! Q. What type of MMORPG features will we see in the game? Pets? Housing? Crafting? A. All of the above. Crafting is going to play a large part of AdventureQuest 3D. In fact, you will probably get weapon and item crafting recipes and materials as rewards for adventuring a lot more often than the items themselves. The development of pets is not all that simple when dealing with mobile limitations but our players wanted pets enough to unlock it as a stretch goal during our Kickstarter so that will also be an early feature of the game. They might fight by your side or they might provide your character with unique abilities based on the pet you have by your side. Housing is also something that we REALLY want. Everybody wants a place to call home... but like a lot of other features that we want (player based auction house system, guild system, etc) it will have to wait until after release for us to figure how it will fit into the game. Q. How does end game content work, will we have epic raid dungeons to hunt down and defeat? A. There are quests in each explorable area that give provide the story for that zone and give clues to the over-arching super-plot of the game. Each area will also have several dungeons which is where most of your rewards will come from. The End Game will be floating for a while as we continue development post-release but we plan on having different settings for most of our dungeons. The first setting is level appropriate for the area that houses the dungeon. The second setting is Epic difficulty that will require end-game stats and feature different challenges than the lower level version. We are also planning on having continuing storylines and larger party sized raids with very visibly impressive rewards for those legendary heroes to manage to conquer every challenge we throw at them. Q. What can we expect from PVP? A. We are all big fans of Player versus Player combat. We know that a lot of our fans are too so we are going all-out to make a fun, fast paced and balanced PvP experience. When PvP is released, we're going to make a big deal out of it. We are already planning our or classes with PvP in mind but the major challenge that we face is the true cross-platform nature of the game. If you're fighting someone and she's on her PC while you're on your phone, she will have much greater control and probably destroy you in a fight. It's just the nature of the different interfaces. But we're working on a couple of very different ideas that will keep PvP rewarding and fun no matter if you are using mouse and keyboard, controller or touch screen interface. Q. 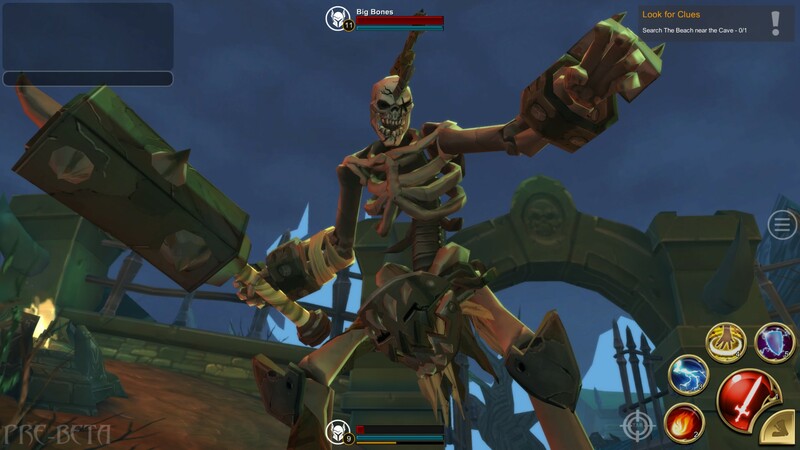 Is there anything else you would like to tell us about AQ3D? A. We should warn you about our sense of humor. Our games have always been fueled by bad puns and it's something our players have come to expect and even enjoy. We wanted to make this game much more tonally serious, and we still plan on that, but we also realized that we like laughing at stupid jokes. It's just who we are. So rather than force a super dark, gritty game we plan on keeping things serious and exciting while injecting some of our classic Artix Entertainment humor in there as well. Thanks once more for giving us some time to answer our questions, good look with the rounds of testing and the launch of the game!